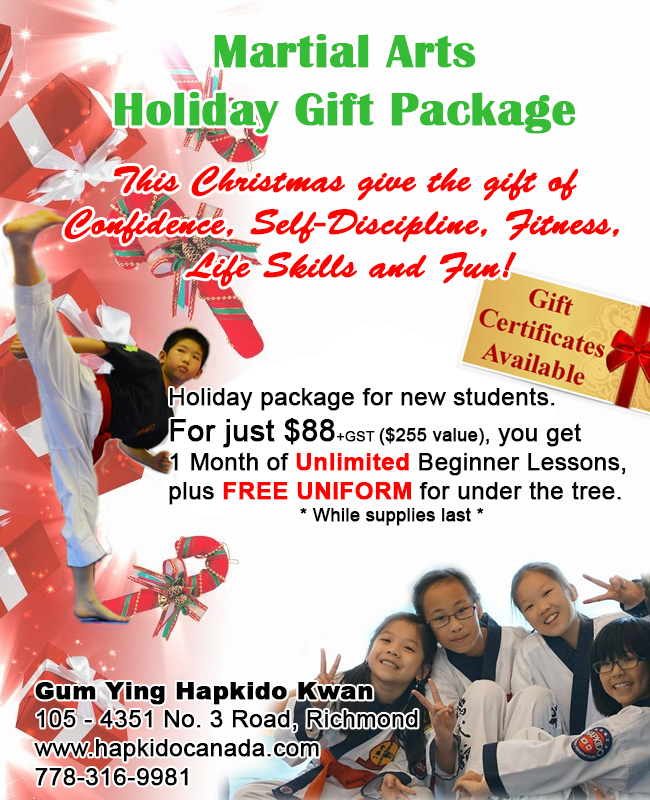 This Christmas give the gift of Confidence, Self-Discipline, Fitness, Life Skills and Fun! Holiday package for new students. plus FREE UNIFORM for under the tree.